Reporting to the Assistant Dean, Finance and Operations, the Director of Marketing and Strategic Insights has a unique opportunity to impact the image, reach, and direction of the public presence of the Faculty of Extension. This position is instrumental in creating awareness of the faculty’s scholarly activities and in creating an environment, which supports the success of new and existing programming in both the credit and continuing education spheres. Working as part of the senior management team within the Faculty, the Director is responsible for the strategic direction for all Faculty marketing activities that drive revenues and marketing and continue to build the profiles of the Faculty as a global leader in continuing education. The Director inspires, empowers and manages a team of creative professionals and assumes overall responsibility for the department. The position directly manages the staff and the quality and efficiency of work, ensuring all resourcing is meeting objectives efficiently and effectively. 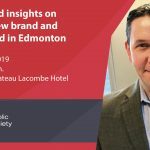 A thorough understanding of the University of Alberta’s brand image, it’s positioning in the international educational marketplace, and its central marketing communications strategies and coordinating processes would be definite assets. How to apply: Along with your resume, please submit a cover letter that will outline how you will draw on your entrepreneurial spirit, experience, and knowledge as an expert in marketing to contribute to the Faculty of Extension’s mission and vision in support of learnings at all stages of life. Applications received without a cover letter as described will not be considered. The review of applications will commence on December 15, 2018, however, the competition will remain open until filled.